The long window of the Garador FGS 020 gives an uncluttered modern look on a door that is equally suited to both front and side entrances. 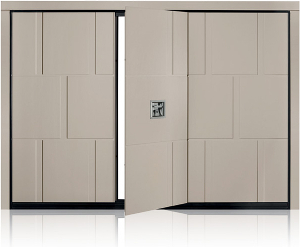 Garador steel front doors are produced in an ultra-modern manufacturing facility in Germany. They are strong and have very good insulation values. Steel front doors give the look of aluminium front doors but at a much lower cost. As standard the Garador FGS 020 comes with a 5 point security system. This comprises of: soft locking latch, locking rod, shoot bolts, hook bolts and hinge pins. There is also the option to upgrade to the RC 2 security standard. RC 2 stands for Burglar Resistance Class 2 and as a Europe wide recognised standard. The certification states that the door has been tested to withstand an attack from burglary tools such as pliers, screwdrivers, spanners etc. Side and transom elements are available for Garador FGS 020. 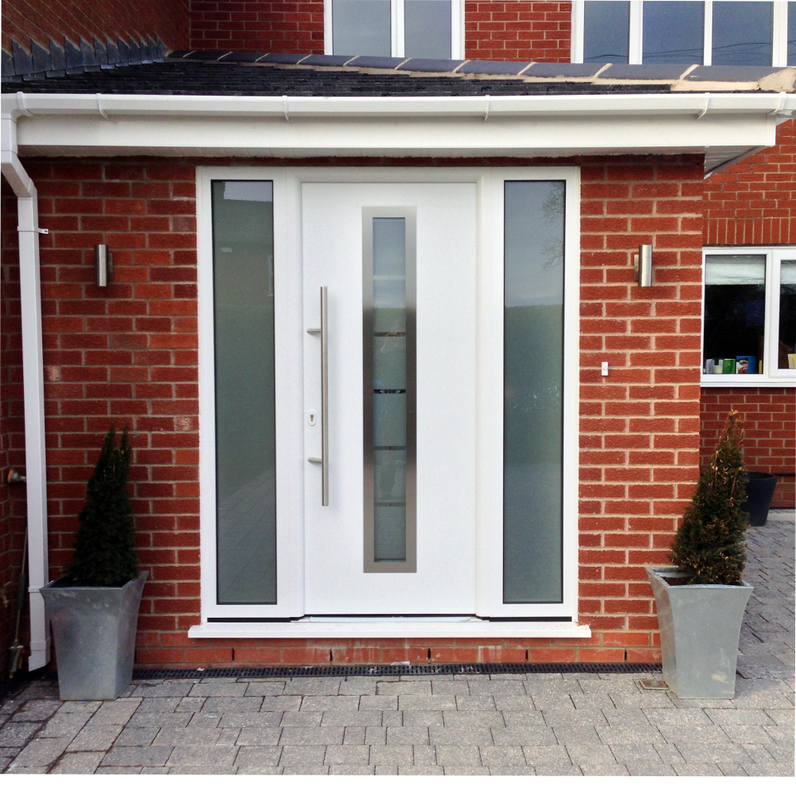 There is the option to have either Mastercarre glazing to match the door leaf or float clear. Garador FrontGuard doors come as standard finished in Traffic White with the option to have the door finished in any of the colours you see to your right. Another popular upgrade is to change the handle from the 330mm long to 1000mm long handle. This simple change can make the overall feeling of the door much more impressive. We have a Garador steel entrance door at our Lancashire showroom for you to see and try. Steel door leaf with foam filled core and thermal break, exterior and interior overlapping the leaf, 46 mm thick, in classic, contemporary and modern designs. Standard polyester primer coating White (RAL 9016) in a smooth finish (inside and out). FGS 020 has a fixed bar handle son the outside and therefore a key is required to open these doors from the outside at all times unless fitted with electric strike. Lead time from pint of order to installation is approximately 8 – 10 weeks.